FREE delivery to United Kingdom in 27 weeks. Joyful, deliberate imperfection is at the heart of Sylvain Willenz’ Scribble collection, which brings the designer’s own geometric hand sketches to life in home textiles. The Scribble Rugs are a splash of cheerful charm in any room. 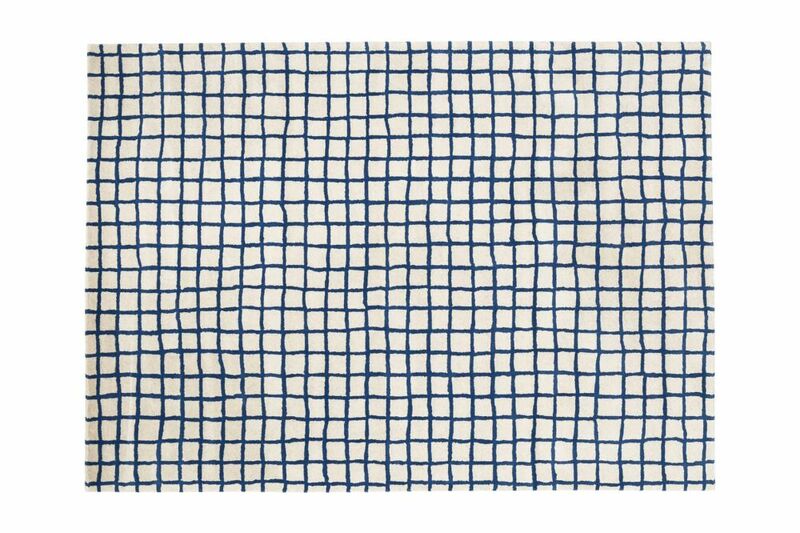 Like an over-sized cutting mat or a giant sketchbook, the Grid and Rain patterns are simple, yet impactful. The rugs are produced by a carefully selected family business in India, working according to global standards, such as Rugmark, SGS and Woolmark, to ensure best quality, appropriate working conditions, and with no use of child labor. A winner of multiple awards, including Belgian Designer Of The Year 2009, Sylvain Willenz founded his own design studio in 2004. Drawing on a love of cartoons, his charming range of designs includes the unique Scribble family, a set of patterns created exclusively for Hem, that walks the line between studied imperfection and elegance.